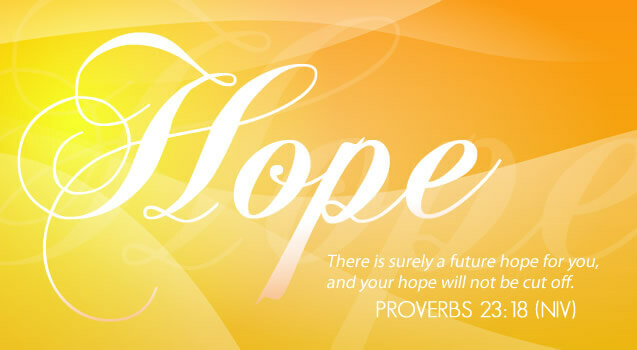 Hope is a gift from God. When God gives you hope, it can’t be taken away. The enemy will always do his very best to destroy hope, but it won’t work. You see hope is a supernatural thing that lives inside of us. You can assault my hope, attack my hope, belittle my hope, try and diminish my hope, but at the end of the day my hope lives. My hope thrives. My hope is now and also lives in the future. My hope can’t be cut off. Hope has purpose. Hope inspires. Hope sustains. Hope fuels dreams. Hope carries you through storms. Hope sees the future. Hope is a catalyst for change. Sometimes what we are facing will cause us to question whether or not we will make it out. The problem here may just be human perception, but hope tells me to look again. God will always match my strength for my days. (Duet 33:25) Recall some of the major victories that hope carried you through. If God did it before He can do it again. I just want to charge you again not to surrender your hope. Don’t be bullied out of your hope. Don’t be tricked out of your hope. Don’t be talked out of your hope. Just because you have not seen it yet, and God has not changed things, does not mean He has changed His mind. You have fought too hard and endured too much. Hope is now, and hope is for you. Your hope will not be cut off.